The Liturgy plays a vital role in the life and worship of the Church and in our own personal Christian lives. It concerns, involves and is important to us all. 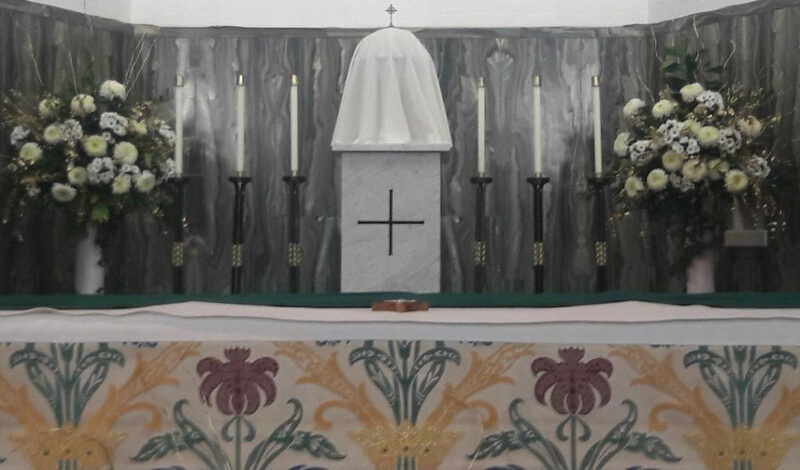 Therefore the “Liturgical Links Group” – set up by the Parish Council – is seen as a useful vehicle for collecting, considering and channelling ideas, suggestions, questions and answers on liturgical matters – feeding parishioners’ ideas and views to the Parish Priest and the Council, and vice versa. Members of this group are nominated and chosen to reflect the wide age range and the relevant Ministries within the parish. Parishioners are therefore invited to submit or pass any relevant “liturgical” thoughts or ideas to this group, either directly or through the Parish Council, or to the Parish Priest himself of course.